Dietary supplement based on Vitamins A,D, E, PP, Vitamins of B group plus Mineral salts. Helps to improve the natural body’s defenses and to perform a tonic and restorative action. 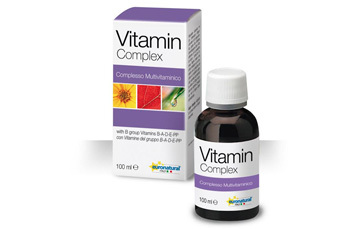 A multivitamin supplement used to ensure an adequate nutrient intake for people who have problems with metabolism. It’s a vitamin supplementation during antibiotic therapies and It’s useful in fatigue or exhaustion period or during the body growth and puberty process. It has a pleasantly fruity flavor.